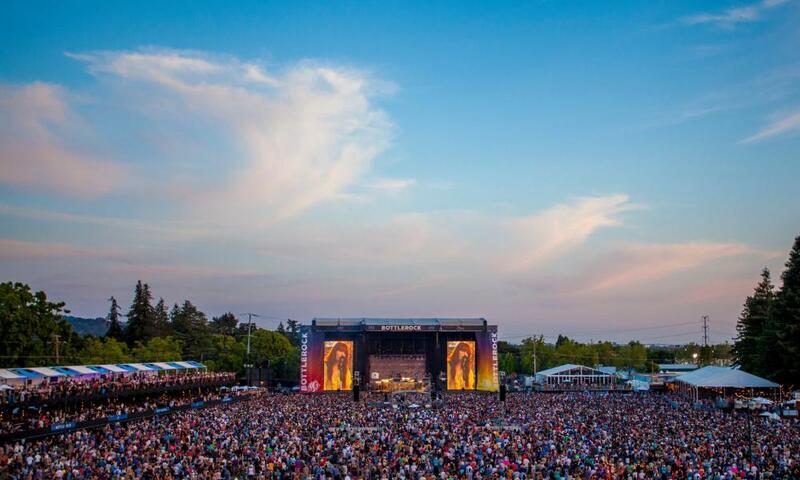 Spring still lies several months away, but its anticipation during these short winter days is suddenly easier, now that BottleRock has announced its 2017 line-up. Slated for May 26 to 28, Napa’s three-day music-food-wine-beer extravaganza just gets better every year. This year, the program will feature more than 85 bands including such national headliners as the Foo Fighters, Tom Petty & the Heartbreakers, Maroon 5, Macklemore & Ryan Lewis, the Roots, and classic performers like Mavis Staples. As always, the amazing music will be accompanied by food, wine, and beer pavilions featuring the best cuisine and adult beverages this wine and culinary capital has to offer. Guest chefs and restaurateurs, wine experts and sommeliers will help to ensure you get the most out of your gastronomic and oenological experience, not to mention the premium craft brews. Tickets range from $309 to $3,500 per person depending on the festival experience you choose. The three-day General Admission Pass has already sold out, and single-day tickets have gone on sale. But this event usually sells out, so buy your tickets soon! All ticket levels allow access to the 85+ bands on several music stages – with in-and-out privileges and great sight lines throughout the venue – plus celebrity, chef, and vintner performances on the culinary stage. Also included is access to artisanal food from the Napa Valley’s finest chefs and restaurateurs, craft beer, specialty cocktails and dozens of wine cabanas where you can sip, savor, and mingle with vintners. For those who want a little more, the 3-day VIP Pass offers access to the VIP Village – new this year – which features premium bars, a VIP viewing deck, comfy seats, shade, live acoustic performances, DJ sets, and upgraded VIP-only restrooms. VIP ticket holders will also receive up-close prime viewing areas and shade at each stage, an easy-access corridor between the main stage and the second stage, separate fast-lane festival entrances and exits, in-and-out privileges, and the opportunity to purchase an exclusive parking pass located within a short walk of the VIP entrance. Want even more? For the ultimate experience, the VIP Plus Skydeck Pass holders will receive all VIP benefits, plus have access to an exclusive elevated platform located within the VIP Village with more space and more shade. With unparalleled views of the main stage and culinary stage, you’ll have comfortable lounge seating to see your favorite chefs and musicians without leaving the Skydeck. These guests will also have access to all-day complimentary beer, cocktails, and wines. However you choose to enjoy it, you won’t want to miss Napa’s spectacular annual music event. And hurry – tickets are going fast!